You have probably heard of the “Latte Factor” which refers to the surprising amount of money that adds up if you buy a significant caffeinated beverage every morning. Even if you don’t drink coffee, you probably have a personal habit that costs a few dollars daily but adds up to hundreds of dollars a year. Soda pop, beer, an eight-dollar deli sandwich, a game of golf. How about personal grooming – manis, pedis, facials, and professional hair coloring. What about the money you spend for convenience – pizza delivery, ATM fees, heat-and-eat meals. How much do you spend on premium cable, video game rentals, full-price movies, and season tickets to Dayton sporting events? If you have foregone dental exams, cleanings and treatments because you think it’s too pricey, I hope this Louis & Dominic Vitangeli DDS dental blog post has opened your eyes to purchases that may be far less critical than a healthy smile. 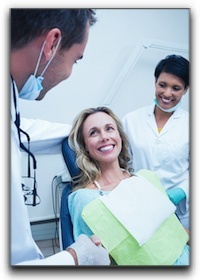 Remember, if you ignore dental problems, eventually they will require more extensive treatments. Filling a cavity is relatively inexpensive, a root canal costs more, and a dental implant is a major investment. What is a tooth worth? Every single one is priceless. And don’t forget that dental problems impact the health of your entire body. Louis & Dominic Vitangeli DDS in Englewood provides competitively priced first rate dental care including veneers, crowns, bonding, orthodontia, and teeth whitening. Ask us about dental financing options.